They say that honesty is the best policy, so it’s best that I get this out of the way right now. I ran my good run on January 1, 2013 at 6:00 am and could not shake anyone out of their post-party stupors and slumber to follow along and take pictures. 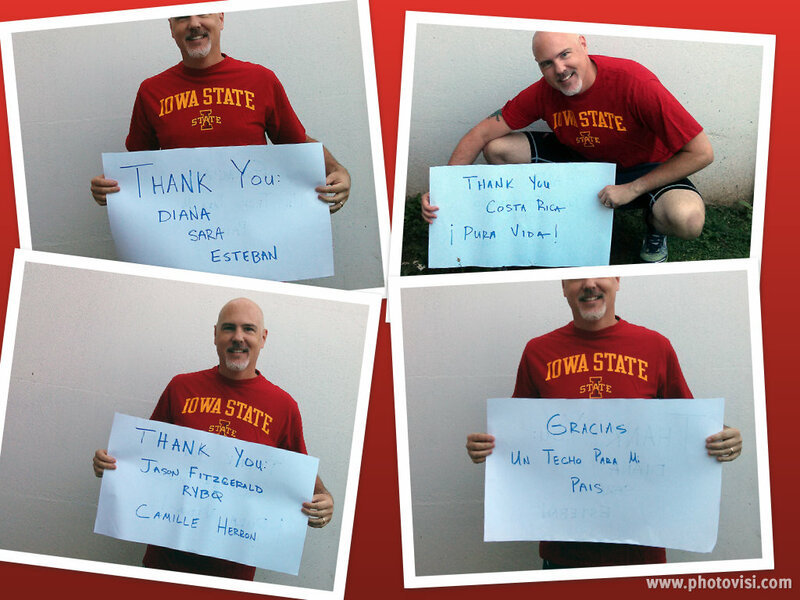 All of the pictures taken during the run were via my cell phone, and my wife and I conspired together to make the thank you collage afterwards. I am pleading for mercy and feel somewhat hopeful that my shameless plug of Steve’s alma mater will allow me to escape with nothing more than a self-inflicted injury to my pride for having not followed the rules precisely. I have lived in Costa Rica for approximately six years, shuttling back and forth to and from the United States as needed or desired. My adopted country has been a blessing for my wife and children, allowing them to remain connected with extended family and their native language. I would be remiss if I did not thank both my family and Costa Rica first and foremost. My family has proven flexible, patient, supportive and resilient as they’ve witnessed, and no doubt sometimes endured, my latest experiment with running over the past 8 months. This would not be possible without their love and understanding, and for that I am forever grateful. As an additional bonus, both my wife and 10 year old daughter have caught the running bug in varying degrees. My wife has completed three events including a 5k and two 10k runs, while my daughter won second place in her school’s annual track and field sprint event. A tremendous thanks is also owed to two individuals whose assistance, advice and support have been second to none. Their expertise, ability to communicate and accessibility are to be commended and without any reservation I recommend that you follow their blog posts, tweets and running adventures: Camille Herron and Jason Fitzgerald. My family celebrated the New Year with friends in the beach town of Puntarenas (Sand Point) which is situated on Costa Rica’s Pacific coast and is the capital of the province which goes by the same name. It’s a popular destination for locals and tourists alike, especially with surfers. Costa Rica is a country of great diversity in every sense of the word. There are residents here from all corners of the globe including North America, South America, Europe, Africa and Asia. Costa Rica is also very diverse in regards to its distribution and consolidation of wealth and resources. 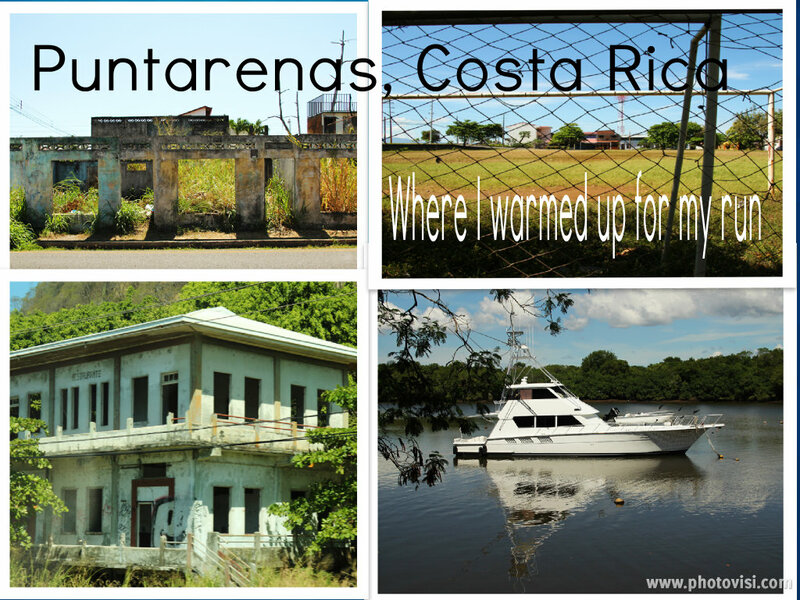 Puntarenas is a typical example, where abandoned buildings lie within a few hundred meters of luxury hotels and charter boats. This disparity of living conditions which I view on a daily basis in the capital city of San Jose, where I live, is what first prompted my interest in participating in civic and social organizations. As a stroke of luck would provide, my wife’s employer was sponsoring an event in conjunction with Un Techo Para Mi Pais, an organization that for 15 years has been constructing and donating residences to help overcome poverty in over 19 countries. We decided that a financial contribution was inadequate so in addition to cash we also volunteered to assist building 4 homes over the course of a weekend in a neighboring community. The experience was as rewarding as it was humbling. 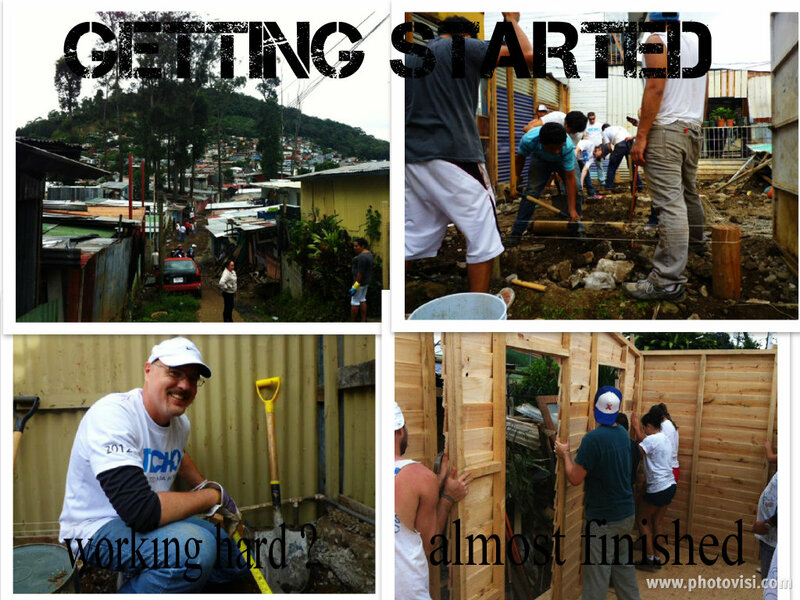 We were paired with a host family, for whom we were building a new home. They assisted us by sharing their story as a family, welcoming us into their lives, and by doing their best to keep us hydrated and motivated under the harsh sun. If you have never participated in social or communal work before I cannot emphasize how fundamentally and profoundly different it is than are financial contributions alone. As important as they are, cash donations can leave us detached, out of touch, and uninformed as to what life is truly like on the ground for a large percentage of the world’s population. I highly recommend getting your hands dirty whenever possible. 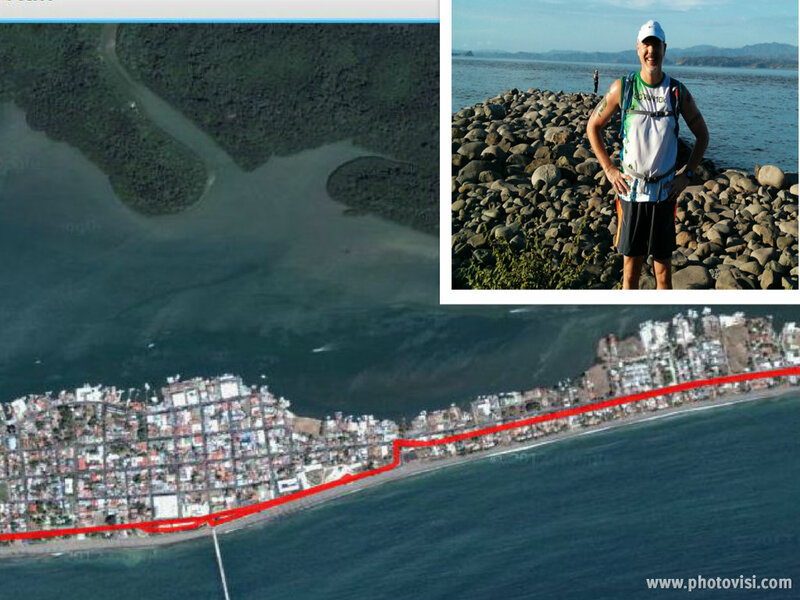 Now, onto my New Year’s sunrise run down the Puntarenas beachfront. I warmed up with some easy jogging and dynamic stretching in a local futbol (soccer) field. The cobwebs from the New Year’s Eve party were thick and not easily cleared away. Realizing that I had better get started sooner rather than later in order to beat the rising sun I eased out on to road, where the highway ends, and travels the length of the city of Puntarenas, ending at the port of Caldera where the ferry can take you to farther out to the Nicoya peninsula. The first two miles were mostly through a residential area, over dirt and stone roads, where the only signs of life at this ungodly hour were the neighborhood dogs on patrol, bouncing about as if they had all of the energy in world, chasing the random cat or chicken into the brush and barking with delight. Clearing the locals’ homes I found myself on the main drag, the blue green ocean to my left and empty shops, restaurants and businesses to my right. 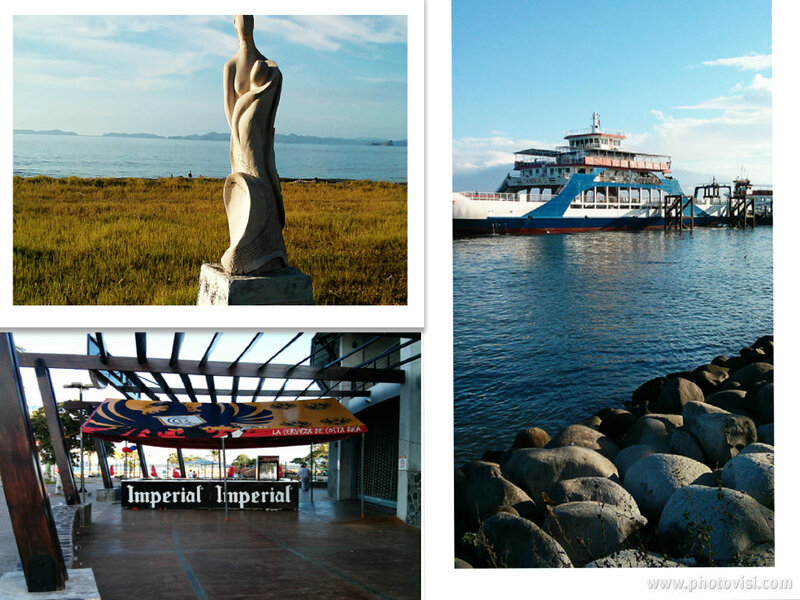 There are a series of sculptures that dot the coastline along the Puntarenas beach, created by artists during a rock sculpting symposium. In the early morning light and shadow their elegant design yet powerful presence blended nicely with the light ocean breeze playing along with the sound of the sea’s crashing waves. At mile 4 I ran into a large group of locals who were still celebrating from the previous night. They had set up a series of tents to camp out at the Paseo de los Turistas, or Tourist Walk. Possibly viewing me as something akin to an alien creature, (after all who else would be out running with a CamelBak at 6 am on January 1) they cheered and yelled out until I joined their circle and chugged my first 2013, cerveza Imperial. Imperial is the national beer of Costa Rica and I have to admit that I don’t think it has ever tasted as good as it did that morning! After my officially undocumented consumption of alcohol as an energy source I pushed on until coming to the end of the peninsula, the port of Caldera, and with good fortune was lucky enough to grab a picture of the early morning ferry waiting to unload its bounty of passengers and their vehicles. Circling the block at the port I reversed course and ran back to my starting point at the futbol field, only this time running directly into the ever-rising sun and without the aid of an ice cold lager. Puntarenas is a dusty beach town, cliché in some ways, unique in others, that attracts mainly locals from other cities within Costa Rica, as well as tourists who seek out lesser known destinations or who desire to carve out their own personal experience, as opposed to agenda driven activities at the international hotel chains found in larger, more popular beach cities such as Guanacaste, Tamarindo, and the like. For a New Year’s Eve celebration with family and friends, as well as lovely sunrise run along the ocean, it can’t be beat.